So, where I started working right out of school in July 2017 nurses are paid 24.25 an hour, I started in an ICU. I don't count the full year of 2017 since I was a tech making 11.70 an hour for more than half a year and by the end of the year without OT I made 45000. In 2018 however, my first two checks were >5000 after taxes. How? Well, my base was 24.25, my hospital gives $1.00 raise every six months for the ~3 years for residents plus your annual increase. So after six months, I was making 26 something. I work nights so that is automatically and extra 3.25 per hour for the first four hours of your shift and then an extra 4 per hours for the next 8. So right off the bat, I was making at ~30 an hours. I worked weekends so my job gives another 6.50 an hour for weekends, so guess what? I worked on weekends. So just for my differentials + base, I was averaging 36 an hour for 36 hours a week. There is always overtime and I only picked up when they offered 10 dollar bonus, which means they tack on another 10 an hour on top of my base, differentials and time and 1/2. I picked up an extra 1-3 shifts a week and for holidays they automatically pay time and 1/2. When you are in overtime and already getting paid time and a 1/2, plus holiday pay + base + differentials + bonus, that's money in the bank because you are getting double base pay plus everything else. I never imagined making almost 6 figures as a brand new nurse and if I can do it, so can you! That's great. I wish more places paid like this, but we also have to keep in mind cost of living expenses. Kudos to you and keep rocking it out. Save some for the future and enjoy your time away! Congratulations on your ingenuity. I agree that working OT can increase your salary, but everything is relative. Starting salary at my facility is well above yours, but I am in the Northeast. I have significantly more experience, and I earn significantly more than you with all the overtime, but cost of living is a factor in salary. I agree with the prior reply that you should save for the future. I would also suggest you don't work yourself until you burn out. Nursing is a stressful and physical job. I think that the differentials and incentives are awesome!! My hospital only a year ago started offering $4/h for the weekends and have long since removed bonuses fo working. When they did have bonuses, it was $200, not $10/h. Must be great where you work. What state is that? Here is South Texas, we do not get such rates. @DavidKatzLuckily the cost of living in Texas is low. You can get a 2000 sqft home for around 145k. Scott and White pays pretty good diff rates. Nurses should also sock money away in a 401K or 403b, especially if workplace offers match to these accounts ---hidden money people don't think about. My health system matched .50 cents for every dollar I added, increased to .60 cents after 15 years, match is up to 6% of salary --- I now have ~200, 000 in 403b, in addition to my future pension for retirement. In California in 2007 I made $40 an hour as a novice nurse. Now after 12 years I make $90 an hour. Plus full benefits. The cost of living is higher here but I made over $150k last year with no overtime. It makes working more pleasurable when you make good money! But I don’t do OT. I enjoy having a life away from work! This must be in the SF Bay Area. Don't know anywhere else that would pay $90/hr. AFJ32780 has 10 years experience as a BSN, RN. what the whaaaaaaat? I understand the cost of living is much higher in Cali but dang. Yes money can be made thru overtime, depending on where you work and so many places run short-staffed the opportunity and, for some, the pressure to pick up extra is always there. But remember not everyone gets the wage increases you did or the fairly good differentials. Bonuses depend on the facility. Where I work, they upped their game to $20+/hour, but that is because we are desperately short and they drag their feet to hire more staff and refuse to use travelers to make up the difference. Also make it habit to make sure your check is correct, that all the differentials, bonuses, and extra hours are paid for and properly accounted! Sometimes if you don't pay attention you may end up not getting paid what you were promised! If you find mistakes let your nursing supervisor know right away so it can be corrected quickly! I think this happens more than one would expect. It may sound sweet in the beginning, but after awhile a person burns out and many get tired of the daily phone calls to pick up. It becomes a burden for those who want to please management and be a team player, and then find themselves overworked and over-stressed! Not to mention many new grads struggle just to work their scheduled hours, let alone overtime. Many are exhausted, anxious, in tears and looking for a way out of the bedside. Money isn't everything. Not everyone can or wants to pick up lots of overtime. Besides stress and how constant short staffing and mandation wears a person down, they have families of their own or want to go back to school and need to learn how to say no to constant demands to pick up. 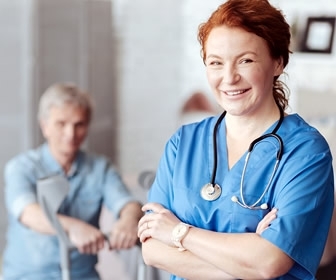 The first year is usually hard and stressful for many nurses so I would encourage new grads to take it easy, learn the ropes and gain confidence before jumping into lots of overtime. Get your bearings first. Then if you still want it go for it. I advise starting your life out right by opening the 403b where you work and putting a minimum of 6% into it (10% is even better), in the lowest expense index fund your employer offers such as Vanguard total stock market or their S&P 500. Open a Roth IRA again with a low cost mutual fund such as Vanguard Star that requires only $1,000 minimum. And, of course, start whittling down your student loans. Don't count on public service loan forgiveness. So far over 90% of people eligible for it were denied on technicalities. Just plan on paying it off and not putting it into deferment or forbearance. Once you max out retirement to the best of your ability then focus on getting rid of your student loans ASAP. It's the worst, most dangerous debt in America. Of course splurge once and a while, take vacations while your young and healthy. Consider the budget 50% needs, 30% wants, 20% savings and debt repayment mentioned in Congresswomen Elizabeth Warren's book All Your Worth. Read other books about personal finance such as Deal with Your Debt, Personal Finance for Dummies, Smart Women Finish Rich and Your Credit Score. In the meantime take advantage of all the opportunities in nursing to try different fields and discover what you enjoy. If you find bedside nursing just isn't for you start looking for other options like clinic nursing or school nursing. Be open to going back to school for NP if that would interest you. Actually, 6 or even 10 percent is far too low. Most financial experts recommend a minimum of 15 percent of gross going into retirement funds, even more if you are behind in savings. Most youngins like the OP would be better served if they saved 20 percent because of the unknowns that are social security and healthcare. While what OP is doing sounds nice, it isn't sustainable and it is unsafe. There is more to life than money, such as time and health. It isn't all about the Benjamins and dead presidents. Adri0418 has 2 years experience as a ADN, RN and works as a Registered Nurse. I am in Cali as well and I made 104,000 in my first year of nursing....I did pick a few shifts here and there, but not many.